With some careful planning and determination, you can sell your excess possessions and have less that needs moving. 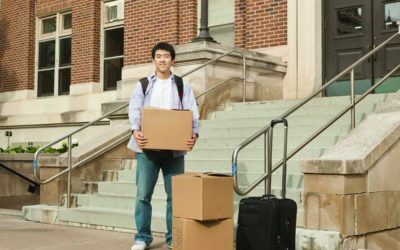 Moving is a monumental task, especially if you have lived in your present home for years. You may feel waves of panic when you consider all the stuff you have accumulated from attic to basement. If you are downsizing to a smaller home or apartment, you have to get rid of a lot of things quickly online. Most people have at least 30 days to clear one home and move to another. Having the dedicated and friendly Bogdan Movers team on your side will make the transition much easier. They will pack and move your things quickly and safely. The less you have to move, the more space your will have in the new house. For the next few days, go through each room of your house and divide your things into four categories: Keep, Sell, Donate, and Pitch. You really do not have a lot of time to be sentimental. If you have not used or worn something in the last six months, get rid of it. You may need to rent a dumpster for the things you are pitching (be sure to recycle what you can). Many thrift stores will do free pickups if you have a lot of donations. There are many things, such as seasonal clothes and holiday decorations, which can easily be put in storage. 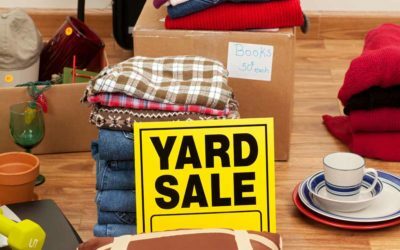 Before you make your yard sale open to the public, have a little get-together for family and friends. Give them the opportunity to buy things. If larger items (such as furniture) must be picked up, agree upon a day and time. You will probably have a lot less to deal with when you actually have your sale. Welcome To Our Moving Sale! If you do not want to drag all of your things outdoors, you can invite shoppers into your home. Remember that your goal is to get rid of things, not to haggle over prices. Use different colored stickers to represent a certain price. You will be surprised at how fast things will go. Plan on having the sale at least two or three days for optimal business. Whatever is left over, donate to charity. If you have larger or more valuable items, you might consider posting them on an online selling site, such as Craigslist. Online auction sites take longer and you have to ship the item. That is something to consider when you have limited time. If you decide to sell your appliances, give yourself enough time until you are actually moving. There is no sense in moving clutter that you do not need. Make yourself some money and downsize your lifestyle by selling or donating it. 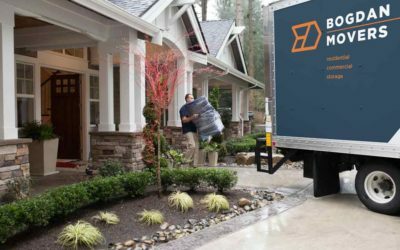 Leave the rest of the work for the professionals at Bogdan Movers.